to unlock your best self. Erica is seeking 10 volunteers who are ready to invest in themselves to improve their lives. She recently completed a Wellness Coaching program through the world-renowned Mayo Clinic and is now working on requirements necessary to become a certified health and wellness coach through the International Consortium for Health and Wellness Coaches. To sit for this exam, Erica needs an additional 50 hours of coaching. 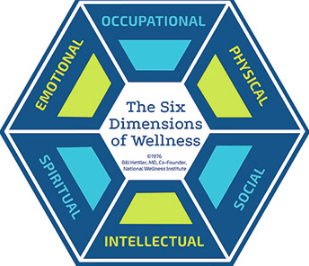 Wellness, as depicted in the icon below, encompasses spectrum of "health" beyond the physical. Which are critical to you right now? Um, what is a Wellness Coach exactly? First thing's first: A wellness coach is not your high school sports coach barking orders and rules at you. Erica won't tell you what to do. You've likely tried one-size-fits-all programs in the past, and they didn't work for you ... or you just didn't remain disciplined. (No judgment there.) This coaching model is a partnership, with you actively in the driver's seat. Health and wellness coaching (HWC) is a relatively new field that sits at the intersection of managed care and self-care. HWCs are experts in establishing relationships and using motivational interviewing to: identify values and desires; transform them into action; and maintain lasting behavior change over time. HWCs foster a dynamic collaboration, grounded in research, that draws upon your intrinsic values, strengths and motivators to keep you aligned to goals, plans and visions ultimately designed by YOU. There is built-in accountability in the coaching relationship -- something that often helps in propelling challenging change. The Mayo Clinic training is grounded in evidence-based research, including motivational interviewing and positive psychology, plus multiple rounds of practicum coaching. HWCs who graduate from this program are not psychotherapists, although coaching itself can be therapeutic. 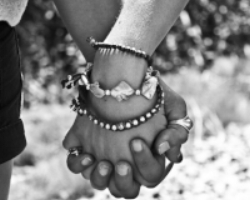 “It is not about fixing what is broken; it is nurturing what is best within ourselves." Start the Conversation - It's Free!